I’m not a big camper. I did not grow up in a family of campers. We didn’t take long weekends and drive “up north” to a cabin or campsite to commune with nature for a few days. My only experiences growing up were Girl Scout camps and the occasional tag-along with friends. As an adult I’ve still not really camped. I have nothing against it, it’s just not something I’ve gotten around to doing. Sean and I bought a bunch of gear last summer with the hopes of using it in Maryland and Virginia. Well, summer came and went and we still never got around to it. Then we moved to Tajikistan and for the first few months were without a car making getting around extremely difficult. 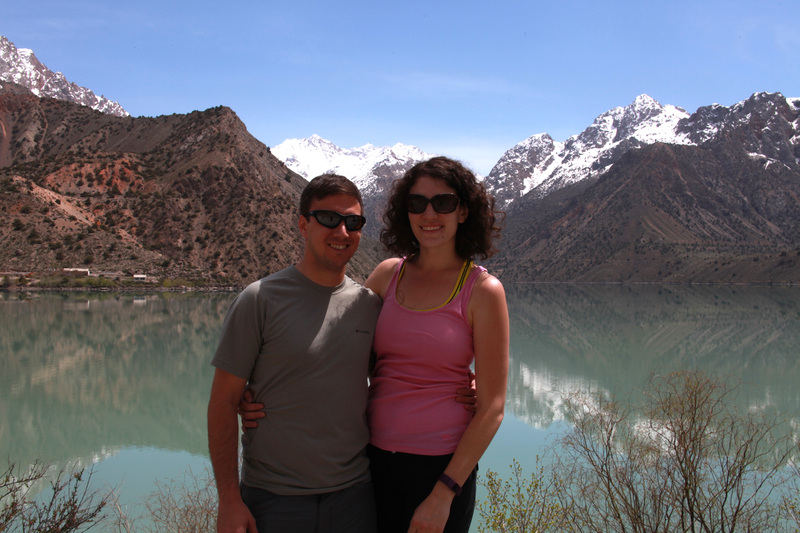 Now, nine months into the tour, we finally got out to see the Tajik countryside and do a bit of camping. 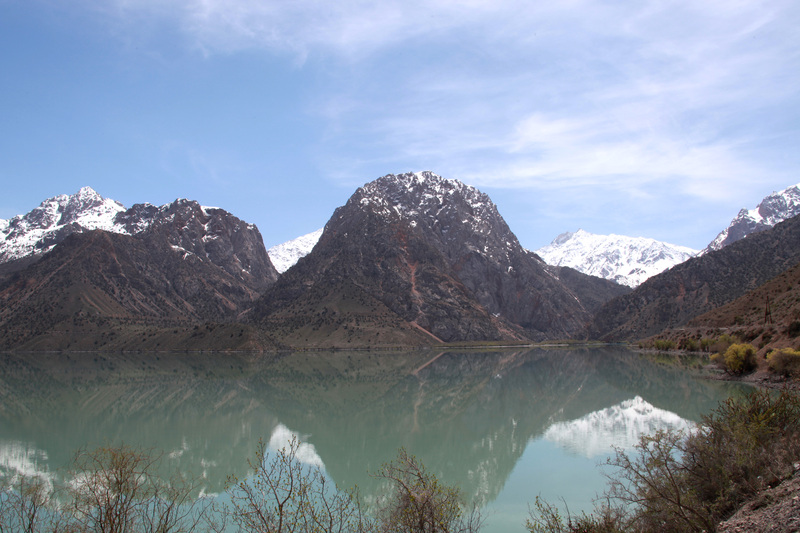 We went with a large group of people up to the famous Iskanderkul; a beautiful glacial lake nestled in the mountains where legend has it Alexander the Great’s horse died. Sean will argue that point extensively – being the Alexander the Great fanboy he is – but we still wanted to get up there to see it for ourselves. Since we were in a large group, we knew it would be impossible for nine people to come to an agreement on how to spend our time sleeping once we arrived at the lake. Sean and I , along with several others, planned on pitching a tent, cooking food over the fire, and roughing it for a few days. Others weren’t too keen on that idea, so we compromised on a guest house near the lake that has a place for tents if needed. Best of both worlds if you ask me: sleeping in tents with running water nearby. Well, there were a few hiccups. 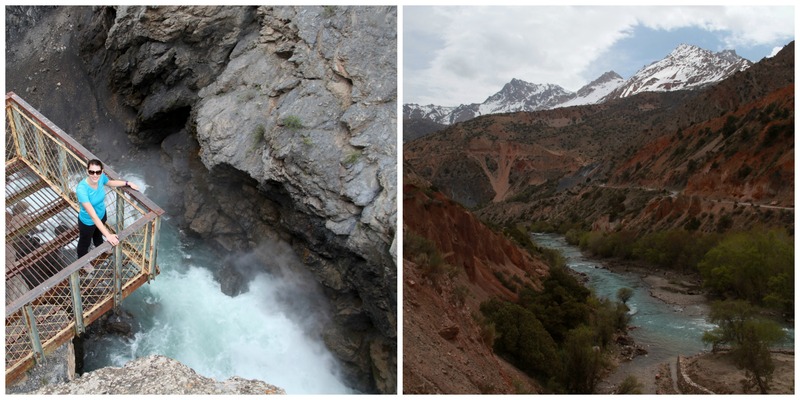 For starters the guest house was a 45 minute drive away from Iskanderkul. It wasn’t far by any means, but on unpaved, switch-back roads, it took forever to get up and down. Then, there wasn’t really a place to pitch a tent nearby. The house was basic but cozy, and the staff were wonderful, so we decided to stay and make the best of it. Luckily, “making the best of it” turned into a pretty amazing weekend. Several trail heads around the guest house which were perfect for moderate hiking. We were so secluded in the mountains it was absolute silence besides the river and the occasional baying of a donkey or sheep. At night, we spent hours around the bonfire, roasting marshmallows and gazing up at the star-covered sky. The second day we did drive back down to the lake for a few hours of soaking in the scenery. The water was of course ice cold so no swimming was to be done by any of us – except one possibly crazy member of the group to remain nameless (Rick) – but we did stick our feet in just to say we’d done it. 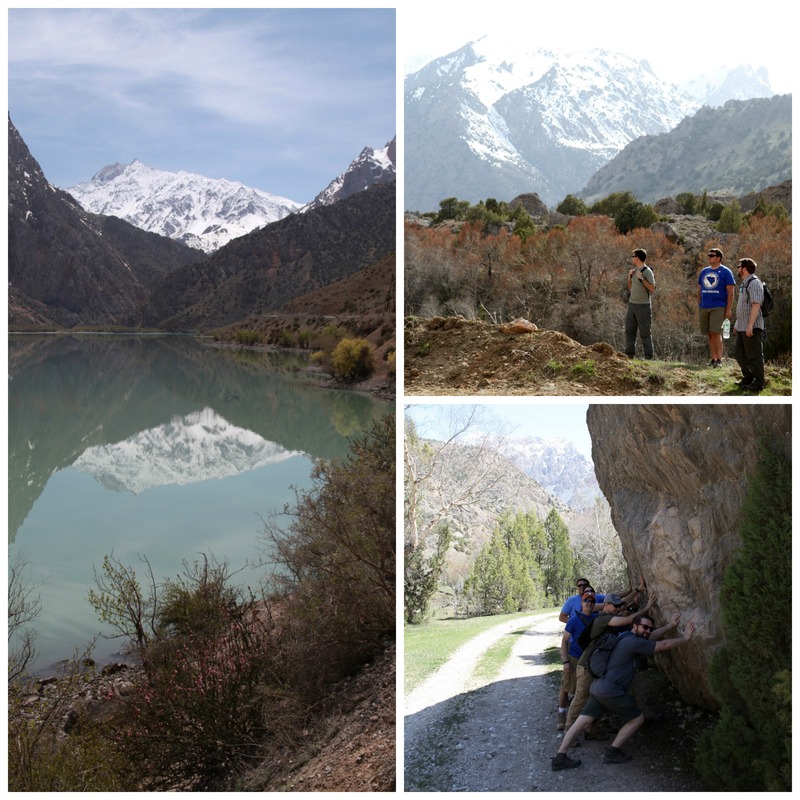 On our drive back to Dushanbe we stopped just outside the lake area to do some last-minute hiking. We walked about 30 minutes to a waterfall with a terrifying but awesome overlook. So, did Alexander the Great’s horse really die here? I doubt it. Did we enjoy the comforts of home including running water? Not exactly. 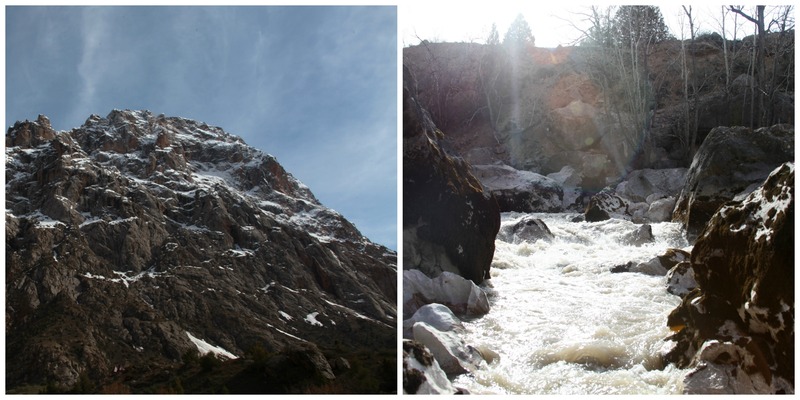 Did we have a quiet weekend away in the mountains enjoying breathtaking scenery? Absolutely. Did Sean get to see two-days-no-shower Kristen for the first time? Yep. Did we get our fill of camping? Almost.